Picture a romantic evening with the one you love in the setting of the Utmost Lodge prepared for a night of romance and fun. 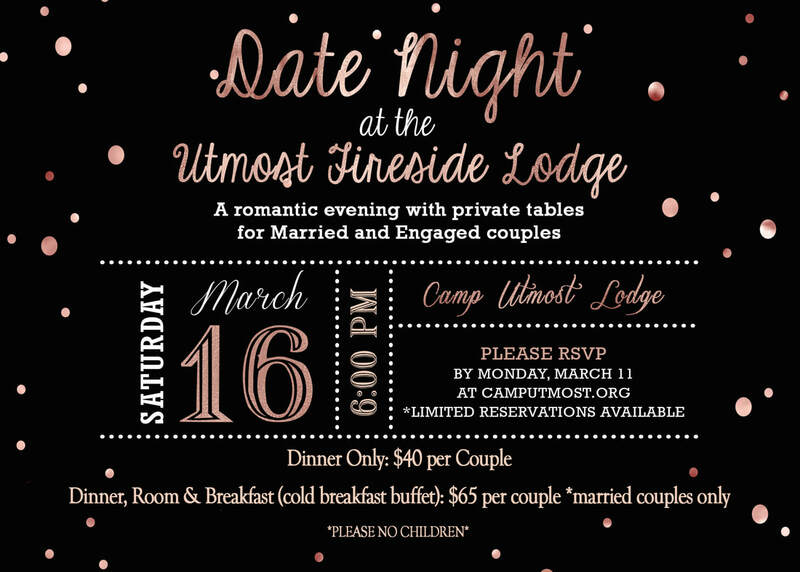 Fire crackling nearby, soft music, sparkling cider, a delicious meal served in restaurant style along with an evening program that will encourage conversation and fun activities. Make your reservation now and don't miss this fun evening!